We just wanted to say a very Merry Christmas to all of our Omlet customers across the world. We hope Santa is good to you this year and that you and your pets get everything you were hoping for. 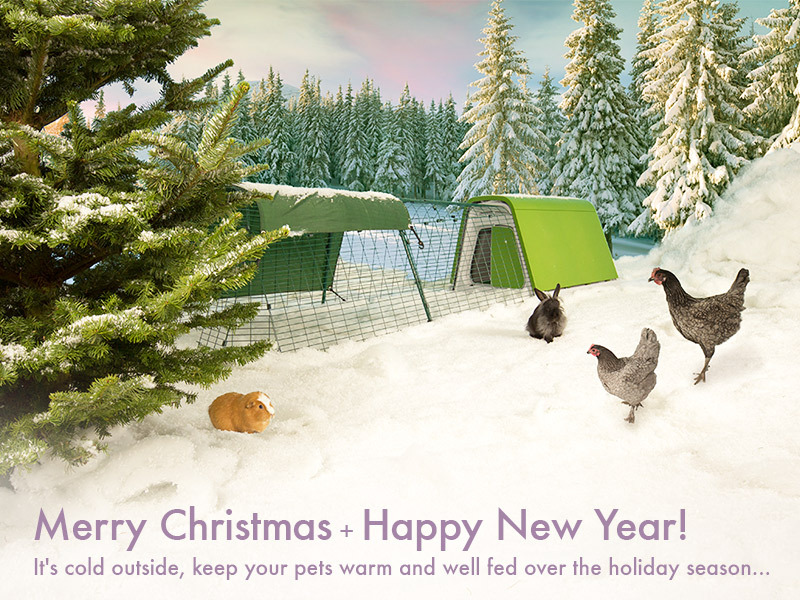 If you have purchased any products from us this past year, we would like to thank you and if you are thinking about joining the Omlet community then we look forward to helping you find the perfect house or accessory for you and your pet. Keep your eyes and ears peeled in the New Year as we have some very exciting products launching, make sure you subscribe to our newsletter to be the first ones to find out when these new products are released. In the meantime, as the January temperatures continue to drop it might be a good idea to invest in one of our Extreme Temperature Jackets to ensure your pets are extra toasty this Winter. All that’s left to say from us is EAT, DRINK AND BE MERRY. Barbara & The Omlet Team.